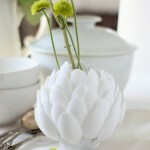 Every housewife has a large number of different devices that help prepare food or serve the table beautifully. 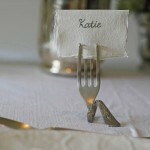 However, the scope of these items is not limited to the kitchen. 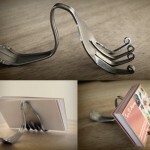 If you turn on your fantasy, you can create very unusual accessories of spoons, forks, graters, etc. 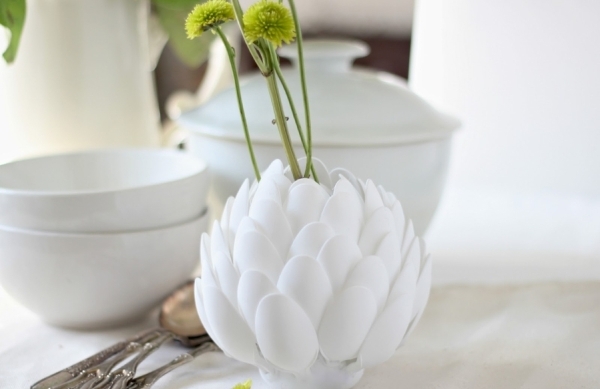 Do you want to know, how you can creatively change the interior design using kitchen utensils? 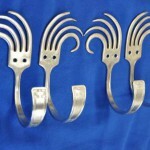 Modern cutlery is made of a variety of materials. 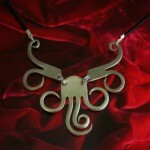 It can be metal with a different degree of plasticity, or plastic. 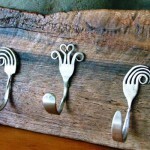 You can make, for example, hooks for towels in the kitchen using metal forks. 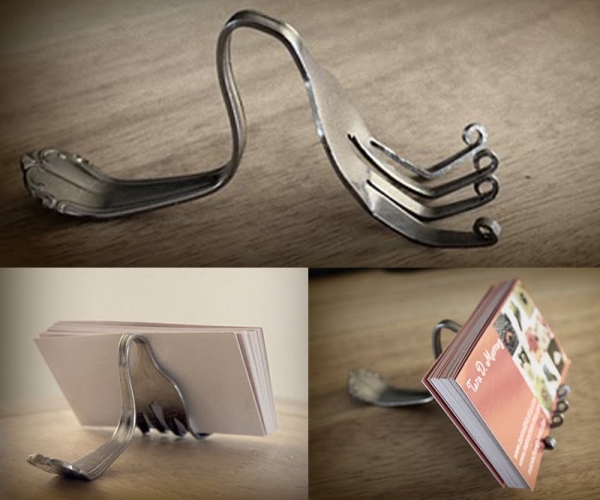 In a similar manner, you can bent a fork and make a stand for cards. It will look good on your desktop. 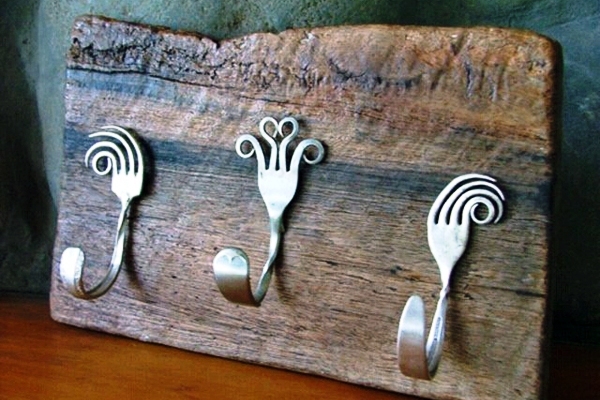 In addition, you can fix a fork on a vertical surface without modifying it, and use its teeth as a holder for small stickers. 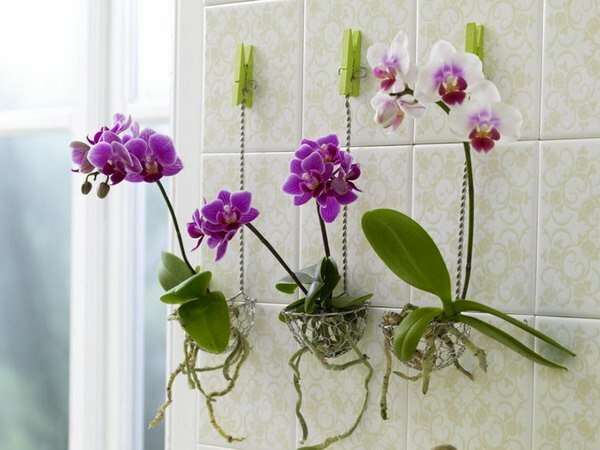 This is a wonderful alternative to the magnets on the refrigerator. 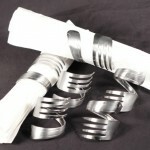 You can make napkin holders of soft aluminum forks, which are well bent. 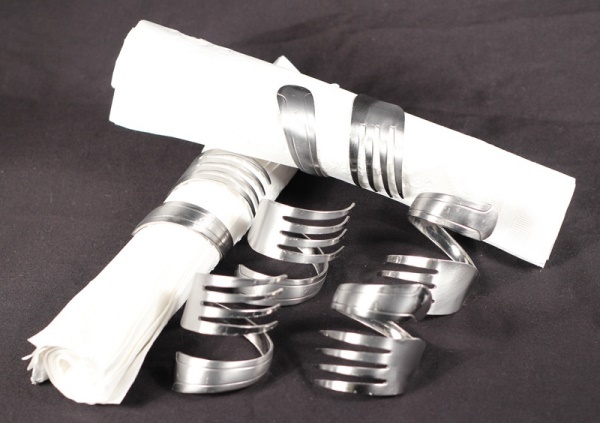 For this it is necessary to roll up a fork several times in the form of a ring. 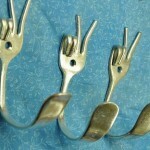 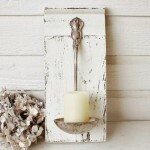 Everyone, who loves to arrange gatherings in the kitchen, will like an original candle holder made of fork. 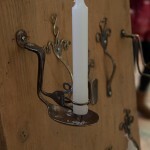 A candle is fixed to the teeth. 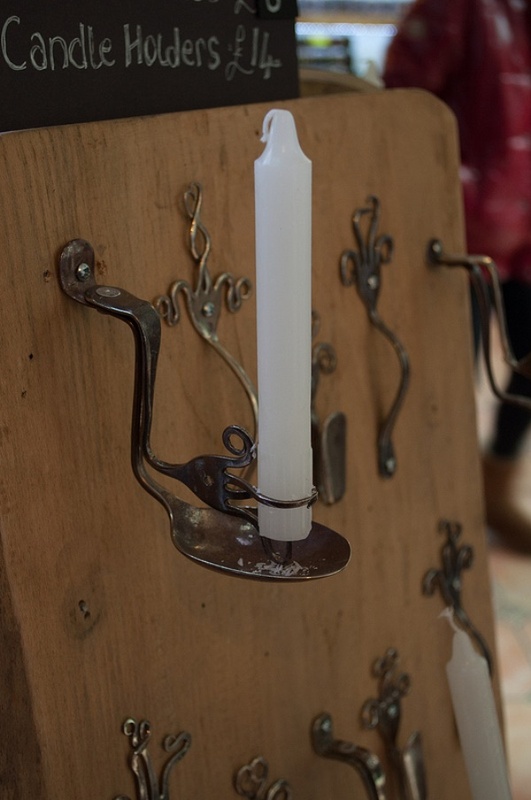 Crystal ceremonial candlesticks are poorly suited for the kitchen, but those of the forks will look very organic in the kitchen space. 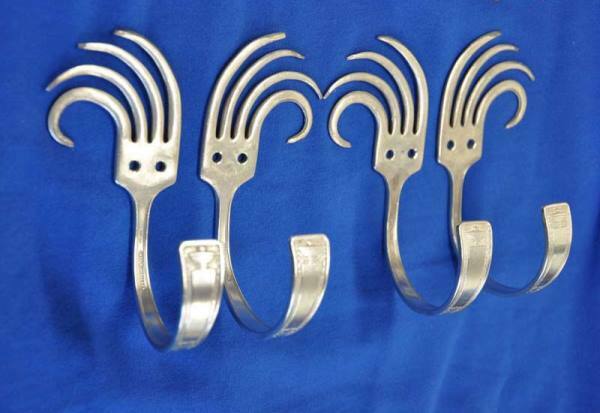 And if you break off the fork’s handle and bend the teeth (as in the case of the hook), you can make an unusual decor element, which can be used to design various items. 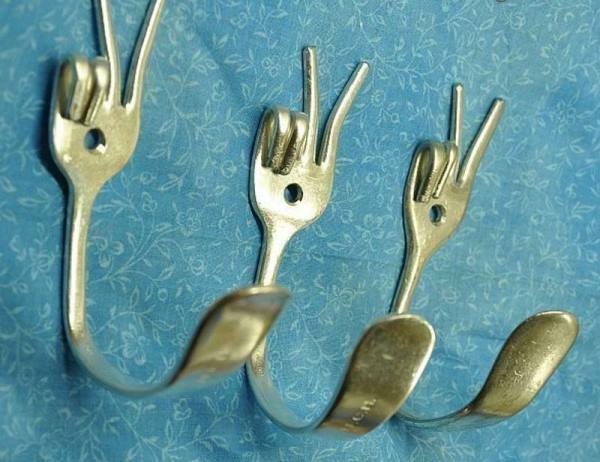 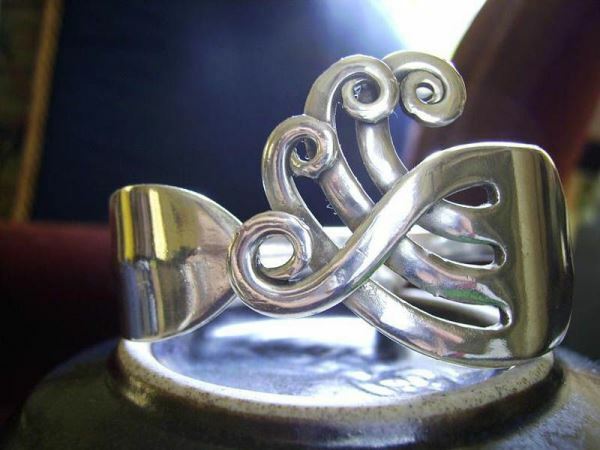 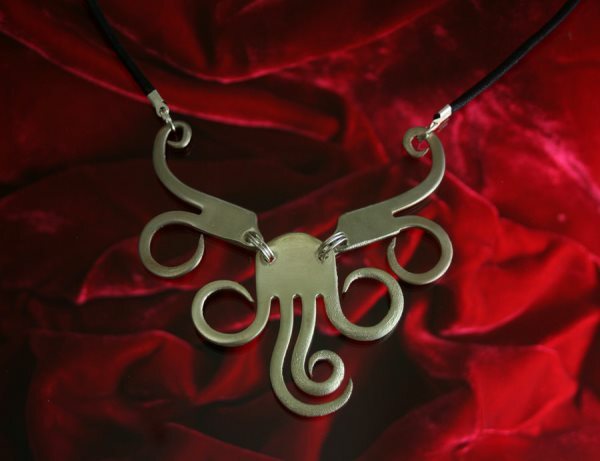 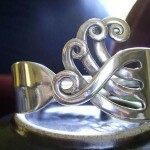 Some designers manage to make elegant jewelry using forks: pendants, rings and earrings. 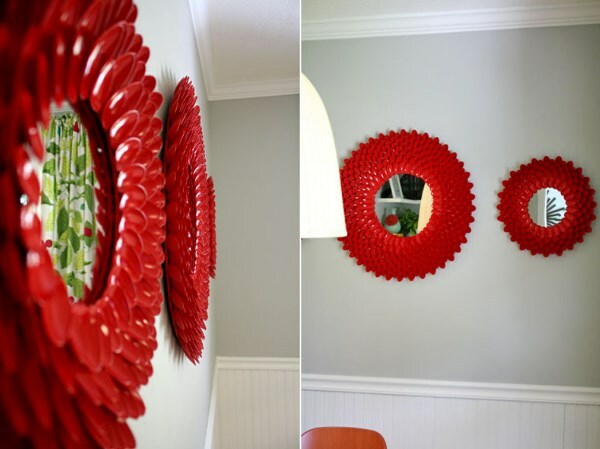 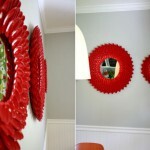 Also you can make real works of art and decoration using plastic forks. 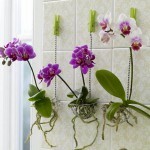 Due to its aesthetic qualities, they can decorate any space apartment. 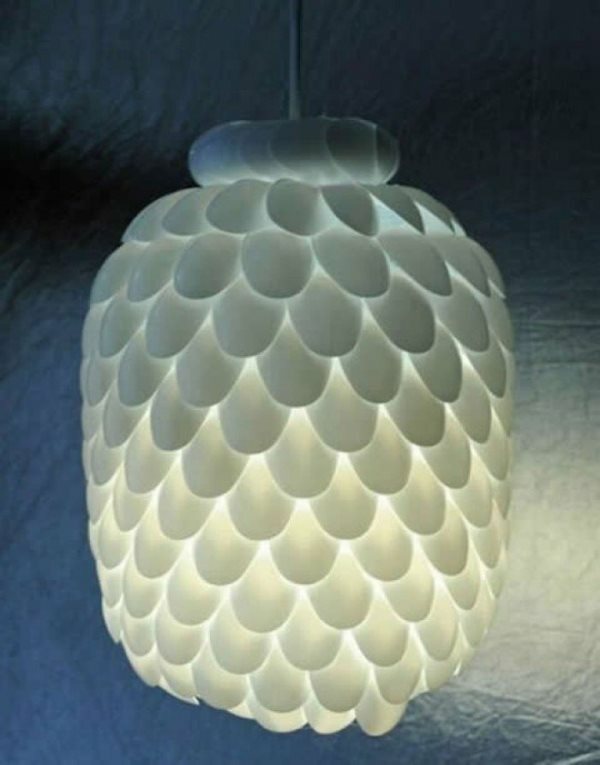 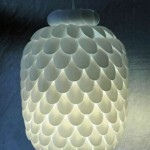 If you have certain knowledge about electricity, you can make a miniature lamp shade, collecting spoons in a “bunch”. 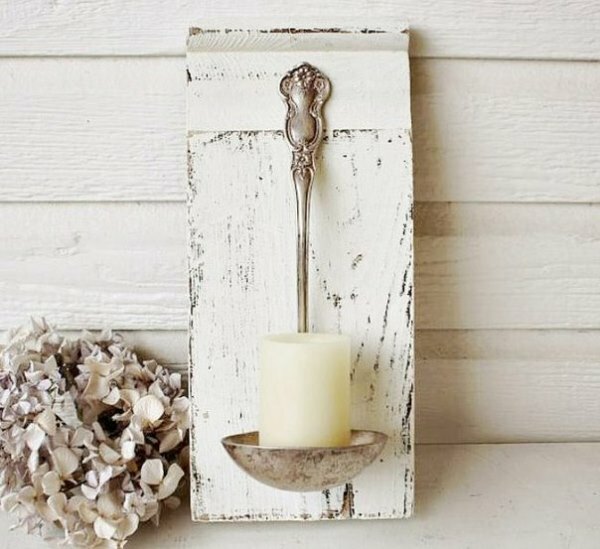 Ladles and skimmers can help you get wonderful shelves for small items (threads, beads, small coins); wall sconces; and even flower pots.